By now, there are plenty of coding schools that will happily train you to become a junior programmer within a couple of months. Most of them will teach you the basics, but to become a full-stack engineers, a 12-week boot camp usually just isn't enough. Neither are most online courses. The team behind the Holberton School of Engineering wants to take a different approach to teaching new software engineers. 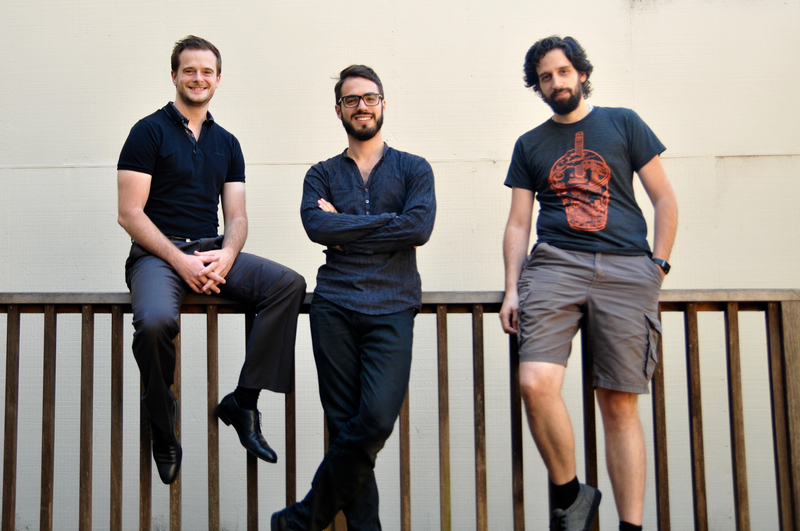 Holberton is a physical school - currently based in San Francisco - founded by a group of three engineers who previously worked at Apple, LinkedIn and Docker. At Holberton, students sign up for a two-year program (plus a six-month internship). The organization is currently recruiting its first class of students. As Holberton co-founder Julien Barbier - who was previously the head of growth and community at Docker - told me, the school is taking a project-based approach and wants to be an alternative to college. The focus at Holberton is on hands-on learning. There won't be any formal teachers. Instead, students will learn from peers and a large number of mentors the founders have recruited. While students will learn with and from their peers, most of the projects will be solo. The idea behind that is to replicate what you find in the workplace, Barbier told me. He noted that many students who are great in school have to be trained again when they come into the workforce. By using mentors who are still actively working as engineers, the team also hopes to be able to teach its students more real-world skills as developers. Once you become a teacher at a school, you're out of the workplace, Barbier noted. The world is moving so fast, if you don't keep up with the industry, you become a dinosaur. Holberton's application process is a good example for how the team plans to teach its students. To apply, students have to first spend a few hours doing a series of small online projects and test at their own pace, followed by a larger project that has them build a website. Once they are admitted, students will then first learn about basic system administration in Linux and writing code in C, as well as basic DevOps practices. Within two months or so, the team expects them to be able to build their own Linux shell. As Barbier stressed, the idea here is not to incubate startups, but the way of thinking the team wants to instill in its students will be very similar to that of startup founders. Once they graduate, students will receive certificates. The digital version of those will be inserted in the bitcoin blockchain. The inaugural class won't have to pay tuition, which makes sense, given that the team is still tuning its syllabus. It's unclear how much the next group of students will have to pay, but Barbier tells me that the team hopes to have an option for students who can't afford paying tuition, too. So far, about 1,000 prospective students applied to Holberton. While the team doesn't believe in quotas, Barbier tells me that 23 percent of those who tackled the first admission challenge were women. After the second challenge, that number increased to 40 percent. The founders are obviously starting out small, but the idea is to ramp the program up to three or four small classes per year and then to expand the program to other cities, as well.